The director of Numazu Deepblue Aquarium posted on Twitter a photo of the strangely colored shrimp on 12/28/2014. He commented a local fisher went for the fishing of Glyphocrangonidae, which would be the last time of this year. 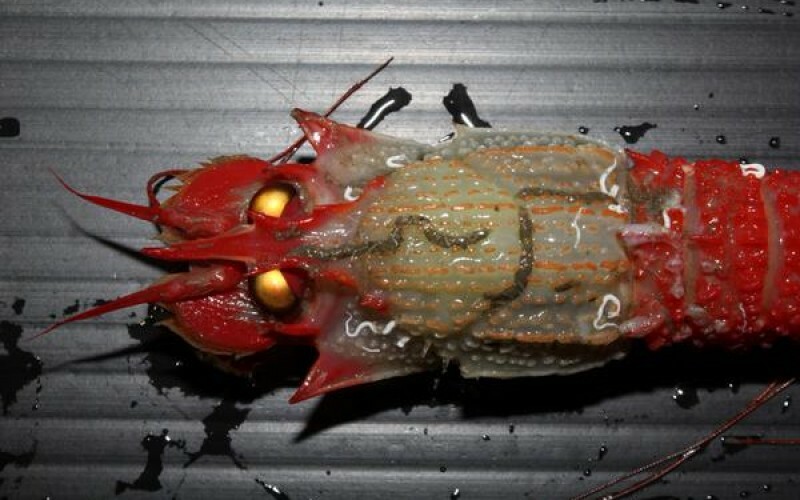 This pictured shrimp, which looks like a different kind was accidentally caught. The location is eastern part of Shizuoka prefecture. He said he always fishes in that area but he has never seen such a shrimp before. The type is not identified yet. Yummm... Does it glow in the dark?